In February, 1791, Major Peter Charles L’Enfant was commissioned to determine the locations of the buildings that would be needed by the federal government when it relocated from Philadelphia to the new Federal City on the banks of the Potomac in 1800. Within five months he had conceived, modified, redesigned, and received presidential approval of the plan of a new city like no other on earth. Andrew Ellicott, Surveyor General of the United States, worked closely with L’Enfant in the laying-out process, which resulted in numerous modifications of the original design. Ellicott’s survey report, including a map showing the centerlines of streets and avenues, demonstrates the limitations of eighteenth century surveyors’ practices when faced with the task of drawing a complex plan diagram on a six thousand acre landscape. Ellicott’s map makes it possible for us to determine the sequence of the measurements, and to discover which of the significant elements of the L’Enfant Plan were located intentionally, and which locations were dictated by his chosen geometry. This question must be dealt with in any full consideration of the designer’s intentions and accomplishments. This presentation, will discuss the effects of the eighteenth century science of surveying on the design of Washington, DC. DON ALEXANDER HAWKINS is a native Washingtonian. He studied architecture at Catholic University, Washington, DC, The Architectural Association, London, and Carnegie Tech, Pittsburgh. As an undergraduate, he apprenticed with Hugh Newell Jacobsen. He founded Don Hawkins and Associates, an architectural practice specializing in small and medium scale projects, in 1967. 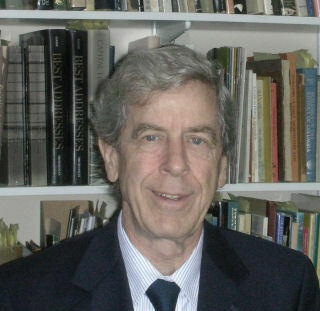 He earned a Master of Architecture and Urban Design Degree from Catholic University in 1977 and began his systematic study of Washington, DC’s founding and development. His studies of the early city have been published in maps and articles, and shown in exhibitions. He curated the long-term exhibition “Washington: Symbol and City,” at the National Building Museum. He served as Chairman of the Parks and History Association, which built and operated twenty five bookstores in the Washington Region’s National Parks from 1999 to 2001. He was Chairman of the Committee of 100 on the Federal City, Washington’s oldest planning organization, from 2006 to 2008. He serves as Secretary of the Historical Society of Washington, DC and is a member of its Editorial Board. He lectures occasionally at several of Washington’s universities. His maps and historic reconstructions of Washington and the US Capitol have been included in many publications. President Larry Millstein called the 2,262nd meeting to order at 8:16 pm December 18, 2009 in the Powell Auditorium of the Cosmos Club. The minutes of the 2,261st meeting were read and approved. Mr. Hawkins began with a short movie about the history of the District. He said he liked this movie because it uses his name a lot. The movie was produced by the University of Maryland, Baltimore County Research Center. The movie showed the District when Pierre L’Enfant started to work on it. It was recognizable, but barely. The major geographical features were there, but were shaped differently. Drawing on the historical research of Mr. Hawkins, the Research Center created a base map showing the features of the area at the time. Without the tidal basin, the area would have been difficult to recognize. There were wooden cabins near the Capitol. There was a fence to keep cows out of the Capitol. Fields of corn, wheat, and tobacco graced the view from the Hill. The Potomac was visible in the background, brown with filth and mud. Fortunately, a drawing of Capitol Hill by Benjamin Henry Latrobe, the designer of the Capitol, has survived. Latrobe’s cartographic drawing enabled them to draw a picture of Capitol Hill in three dimensions. The movie finished up with a view of the Capitol just before it was burned by the British in 1814. When it was burned, the records within were burned, including many records that would have been valuable for Mr. Hawkins’ talk. After four years and more than 5000 hours of work, UMBC researchers are confident they have an accurate historical picture of the area at the time. Mr. Hawkins showed pictures of two maps. One was presented by L’Enfant in August of 1791 to the president. It was the working document, not the final document, for building the city. The other was the Ellicott plan, which was practically finished in March of 1792 and formally presented in October of 1792. Mr. Hawkins said many people who know the subject well think that L’Enfant’s plan was better that Ellicott’s, which presents the question: Why did it change, and why were the changes acceptable? To approach this question, Mr. Hawkins drew a landscape map of the city, which he finished in 1991. He worked primarily from the surveyor’s report to the president in 1792, which is about the only document that actually shows what L’Enfant had to work with. A number of scholars have noted the differences between L’Enfant’s and Ellicott’s plans and other maps that were drawn. Mr. Hawkins believes they all intended to draw the same thing, and that the differences were drafting errors. The strongest elements of the plan, he said, are the avenues. In those there are no differences except in some of the smallest ones, eight small ones which were deleted over time from L’Enfant’s plan. In the larger avenues, there were some route adjustments, but the changes were apparently only for practical reasons, not changes of design. The avenues seem to connect points. There are three star patterns where avenues join. One center is the Capitol, actually just in front of the Capitol This, the central star, may have had even some additional lines passing through it. L’Enfant was asked to reduce the number of avenues at one time, and he may have taken some off the map. Mr. Hawkins sees shadings on the map that he believes may indicate the erasure of avenues. Another is at the White House, where New York and Pennsylvania Avenues go. A third star was expected to be the commercial center of the city, to the east of the Capitol, which was to be the center of the city, the center of the nation and even the center of the world. Mr. Hawkins believes these three stars were the controlling features of L’Enfant’s plan and that avenues were planned to radiate from them and intersect and determine the shape of the city. Then, there were to be entry points around the edge of the city that would each have pairs of avenues. The three stars and the entry points account for all of the avenues. He noted that an essential characteristic of good design is to have as few as possible elements control it. L’Enfant once said, “We laid out the streets, east-west and north-south, and then we connected the important points.” That was nonsense, Mr. Hawkins said. That statement was an easy way for a man with limited English to explain something. They didn’t do that; you couldn’t do that. What they did was connect the important points first, with avenues. The first avenue was Pennsylvania Avenue, connecting the White House to the Capitol After Pennsylvania Avenue, Maryland Avenue was placed at a mirror angle from Pennsylvania. Another avenue pointed toward the river at a point where they might have intended a bridge to be built. New Jersey and Delaware Avenues may have had an avenue between them. These Avenues then stopped at K street, which served as the first line of experiment in the design work. The President’s house was to be narrow, only two rooms wide at the end. It would not impress anyone, so no street was aimed at it. The streets, F and G Streets, went by the broad front and back of the house. A number of avenues were moved because of geographical conditions, primarily hills and gulches. The geographical features account well, in Mr. Hawkins’ view, for the differences between the design principles and the built condition. The difference between the early city and the modern city are very much greater than the difference between the L’Enfant plan and the Ellicott design. Understanding the design and taking into account the natural features of the land, there is not much of a case against Ellicott for varying from L’Enfant. He did as well as could be expected to realize L’Enfant’s plan. We got a pretty good city out of it, Mr. Hawkins concluded. Enjoy it the way it is. The first question dealt with changes to the shape of the tidal basin. They are substantial. East Potomac and West Potomac park were silted mud flats. They built walls around them and dredged silt into them. The Washington Monument was placed on a natural hill, but the land around it was raised 15 feet by dredging. The Monument was relocated to avoid a creek. How did it happen that the streets in Georgetown were already laid out, someone asked. Georgetown existed before the District. Why wasn’t there a judicial star, someone else asked. The judicial branch did not establish its independence until 1801, with the famous case, Marbury versus Madison. Someone asked about Tiber River, where was it? Mr. Hawkins pointed out the general locations of several creeks. Tiber Creek actually had two parts, one flowing, one tidal. The smaller creeks have all been put underground. All the buildings in the Federal Triangle have pumps in the basements. After the talk, Mr. Millstein made the usual housekeeping announcements, including the parking announcement. He presented a plaque commemorating the occasion. He announced the next meeting, where he would speak as the retiring president. He invited guests to join the Society and support her good work. Finally, 9:37 pm, he convened the annual business meeting.